Multitasking has become the mantra of the millennial age. You often find yourself juggling a hundred different things, whether in your personal or professional life. We expect the same kind of ability from the products we own as well, especially a backpack. Our active lives require a carry pack that can adjust to the various whims and fancies of the day. 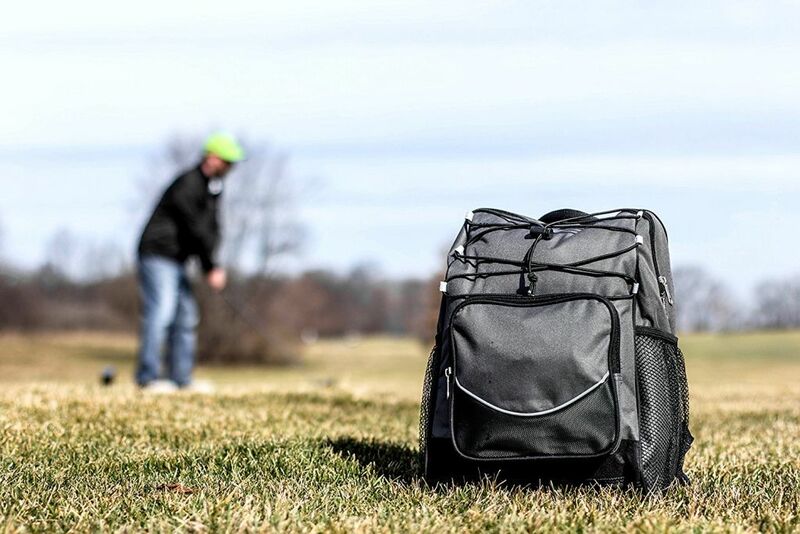 It may be carrying a laptop, or gym shoes, or an extra pair of dry clothes for a weekend trip; the backpack needs to be able to do everything and anything, without breaking a stitch. 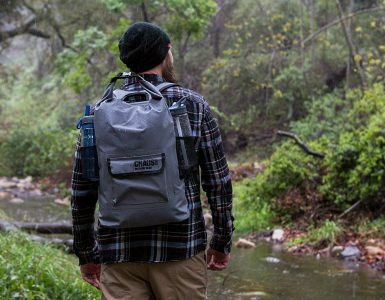 Enter: The Axiom 24 Pack from Triple Aught Design. The Axiom 24 Pack has been created to perform a multitude of tasks without ever being conscious of it. The name ‘24’ suggests that it has been built to cater to your high-energy, always-busy lifestyle. 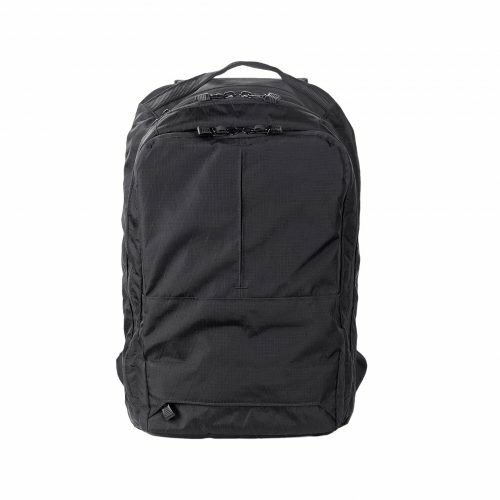 The streamlined shell of the backpack is fashioned from a high-endurance Ripstop fabric that will go wherever you will, and tough it out in any condition that you will. The outer shell repels water as well, making it an ideal carry companion during the rains. The shell also protects your valuable contents from harmful elements such as dirt and dust. Carry it on your next outdoor expedition, and watch it keep your camera, phone, and other sensitive contents safe from bumps and accidental falls, even on a hard surface. One reason why the Axiom is able to multi-task to an impressive degree is its effective maximization of storage space. 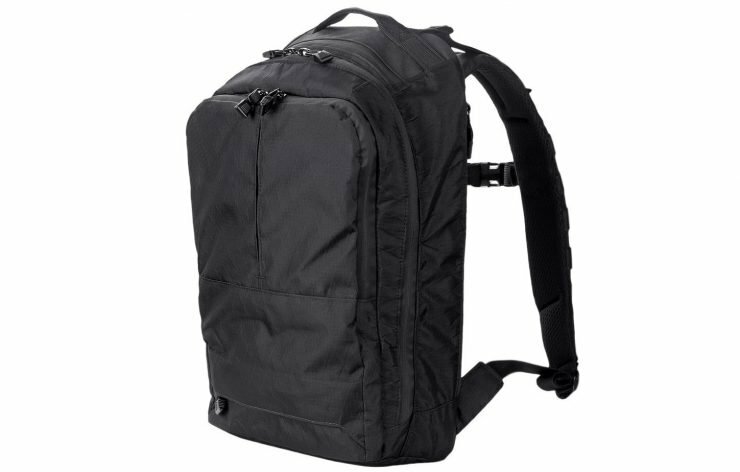 The backpack’s sleek outer shell is neatly divided into three main compartments. The large, rear compartment is the big daddy, allowing you to stock all your computing devices. You can easily carry a 15” laptop, plus a couple of tablets. 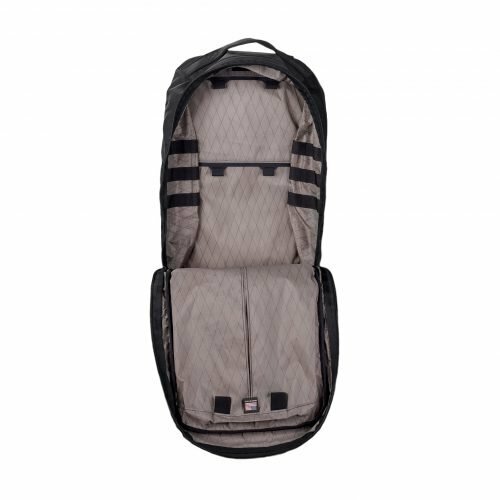 The inner lining of the compartment provides sufficient padding, making it almost shock-proof. The laptop will fit in nice and snug inside the dedicated pocket. The second, medium pocket is a reflection of the before-mentioned multitasking ability that makes the 24 Pack such a handy accessory. Peel open the compartment and you will be greeted with multiple holding pockets. Here you can slip in pens, pencils, USB cables, earphones and the like. Another hidden use of this compartment is for recreational fishing. You can easily carry various hooks, plastic baits, and other small accessories that you would require for fishing. The third, front pocket provides additional space to safely carry sensitive accessories such as your smartphone, power bank, and foldable headphones. There are neatly divided pockets where you can slip in the accessories. The front pocket is also big enough to carry a few books without breaking a sweat. What we really liked about the Axiom is its ability to surprise you with cleverly concealed pockets that boost the backpack’s storage capacity. There is a pocket placed right on the bag’s bottom, that puffs up inside, allowing you to store soiled items such as gym clothes or even a pair of shoes. Then there is the zipped pocket right on the top of the outer shell that is just perfect hold your sunglasses. You could also slip in some easy to reach items such as keys and wallets. There is another hidden pocket located at the rear that can be used to carry additional accessories. In an Instagram-driven world, a backpack needs to be more than just functional and multitasking: It also needs to have a touch of style. The 24 Pack, we are happy to report, does not disappoint in this regard. One of the things clearly working for the backpack is its minimalist, albeit sophisticated, aesthetic. With an all-black shade, the Axiom makes a clear style statement that should particularly appeal to the millennials. 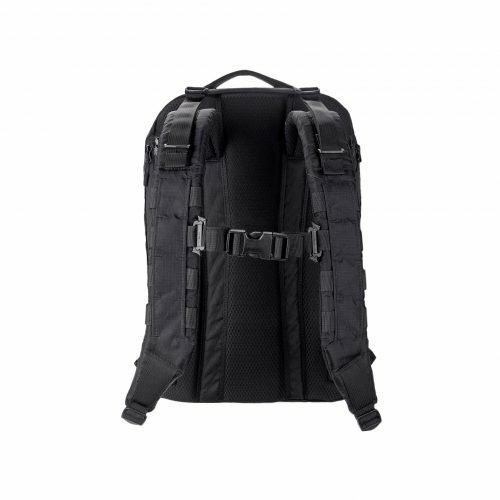 A slightly textured outer shell also gives the backpack a tactical edge. Adding a bit more edge in terms of personality, and more appeal in terms of visual style. Whether you carry the Axiom to work or play, indoors or outdoors, the rucksack is certain to leave an impression behind. When it comes to backpacks, you generally expect a certain level of toughness and endurance, with a dash of color and style in other cases. What you may not expect is the application of some intelligent load-bearing technology. Take a closer look at the main compartments and you will see the Helix attachment system. What the tech intermodal container system allows you to do is finetune the storage capacity of the Axiom to suit your exact needs. You can hook accessories, attach utility boxes, carry multiple small accessories, and even compress the backpack using the clips provided. The Helix attachment system is an intelligent modular solution that keeps the 24 Pack lightweight, while simultaneously increasing its versatility and storage options. A backpack’s ergonomics is gaining more and more attention, making it one of the most important features. 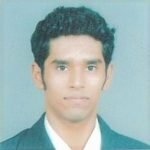 With the expectation to carry more and transport more, it is very important that the loadbearing mechanisms distribute the weight in an appropriate manner, reducing strain on the joints. The Axiom has applied the right ergonomics to provide you with a lightweight carrying experience even with a full load. The shoulder straps have the right amount of padding and curvature to stick close your body; there is even a sternum strap that you clip together for further support. The back panel, constructed from mesh fabric, allows proper ventilation by allowing air to flow through, keeping your skin fresh and rash free. The panel provides the right postural support too, ensuring that you maintain the correct stance while walking with the bag. The Axiom 24 Pack is a true performer in every sense. The resilient outer shell makes it a handy accessory to have in any situation. The water-resistant nature of the outer body further protects the contents inside from any damage, and the minimalist style aesthetic is definitely drool-worthy. It is difficult to find complaints regarding its storage space as well. The 24 Pack is certainly well worth investing in.